President Trump and the Republican majorities in the House and Senate have failed to push through most of their major legislative initiatives. But the administration has made waves in US energy markets. On the campaign trail, Trump promised to prop up the moribund coal-mining industry, though his tough talk and actions haven’t slowed the retirement of power plants that burn this thermal fuel. In fact, this trend appears to have accelerated. The Florida Public Service Commission’s recent approval of NextEra Energy (NYSE: NEE) and the Jacksonville Energy Agency’s plan to shut down the St. John’s River coal-fired power plant underscores this point. 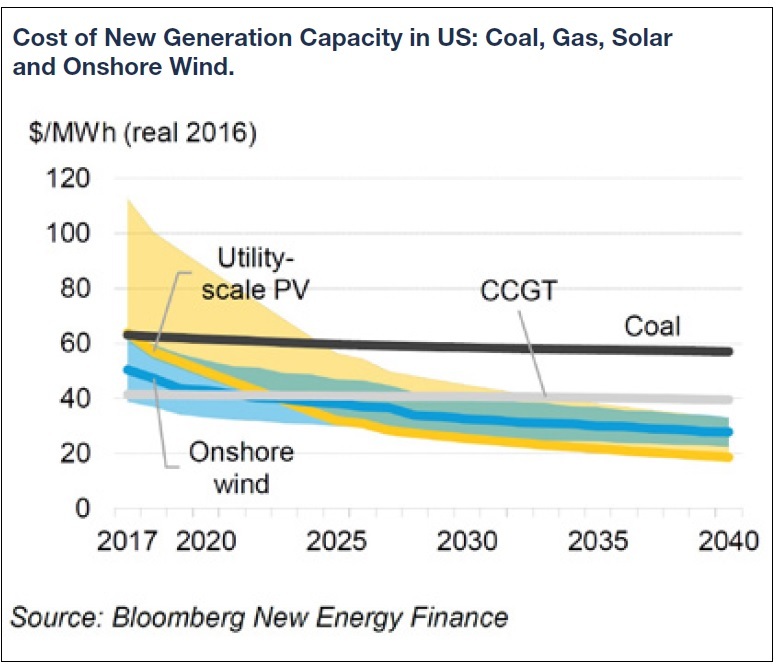 The utility originally expected to rely on the 1,300-megawatt facility for baseload generation until 2052; however, the prospect of saving customers $183 million by closing the power plant 35 years early made sense for all parties. 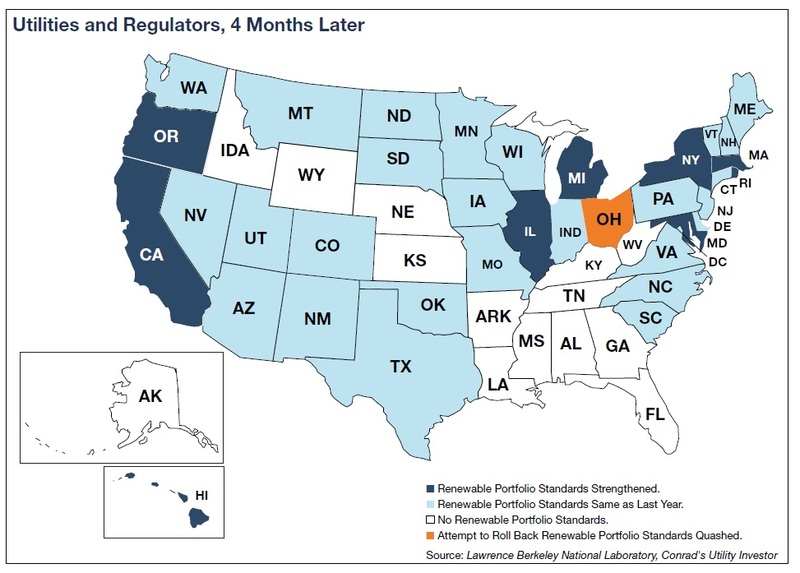 To date, most of the retired coal-fired plants have operated in one of the 13 states where deregulation forces this capacity to compete with other fuel sources, especially inexpensive natural gas. Shuttered facilities have tended to be older, less-efficient, and increasingly expensive to keep running. The closure of the St. John’s River plant bucks this trend and suggests that a tipping point may be at hand. In this case, the economics dictated the closure of a relatively young facility that operated under the protection of a regulated monopoly. Despite easy assertions about the federal government’s war on coal, the factors driving the thermal fuel’s decline in the US are primarily economic: Not only has the shale revolution produced a bounty of cheap natural gas, but the size of the domestic resource base and ongoing efficiency gains also suggest that this pressure won’t relent anytime soon. Burning natural gas emits less carbon dioxide and other pollutants than coal, reducing future legal and regulatory risks. Ironically, President Trump’s decision to withdraw the US from the Paris climate accord, along with the push to repeal the Clean Power Plan, has engendered a counter-response in many states. Several have expanded so-called renewable portfolio standards that set requirements for the proportion of electricity that comes from clean sources. Given the relationship between electric utilities and state regulators, companies have accelerated their plans to retire coal-fired power plants while investing in renewable energy and efficiency-enhancing upgrades to the grid. Meanwhile, deployment of utility-scale wind and solar power has continued apace, even in Texas, Florida, and Georgia—states that lack renewable portfolio standards. Economics, not politics, have driven renewable-energy adoption; the cost of implementing wind and solar power now competes with traditional power sources. Bottom Line: Utilities and regulators in many states have reached a consensus that coal is yesterday’s fuel. Operators will keep these power plants running as long as they remain economic, but NextEra Energy’s decision to close the St. John’s River facility suggests that their time may be short. None of the Trump administration’s actions or proposals would harm the regulated gas and electric utilities that form the foundation of our investment strategy. Perry’s proposal to subsidize coal-fired power plants and nuclear reactors would affect only 13 states and the District of Columbia, deregulated jurisdictions where the business of generating electricity is functionally separated from distribution. In other words, so long as state regulators remain on board, electric utilities can continue to phase out less-efficient coal plants and replace this capacity with lower-cost alternatives. Savvy utility executives have already turned the federal government’s support for coal and nuclear power to their advantage. Southern Company (NYSE: SO), for example, secured another $1.67 billion in loan guarantees for the construction of its Vogtle nuclear power plant. This backing will ensure that the project moves forward, helping Southern Company avoid the regulatory and financial challenges that the much smaller SCANA Corp (NYSE: SCG) faces after abandoning the construction of two nuclear reactors in South Carolina. Depending on where they operate, regulated utilities could extend the time lines for dealing with their coal-fired power plants, making the transition smoother and less disruptive to earnings. Although the imposition of tariffs on imported solar panels would increase the cost of renewable energy, this move would also make residential rooftop installations even less competitive. Increasing module costs would push SolarCity and other operators even deeper into the red, while passing these expenses through to customers would weigh on sales volumes. Meanwhile, NextEra Energy and other utilities have planned for higher prices by stockpiling components to ensure that their projects move forward. Developers could also shift their attention to wind power, which offers compelling economics and deflating costs. For example, new wind-power capacity in Texas displaced gas-fired power last month for the first time. Some of the Trump administration’s proposed tax reforms could hit utilities’ earnings, though the law’s ultimate form and whether it even passes remain open to question. Bottom Line: The Trump administration’s interventions in the energy markets shouldn’t threaten regulated utilities’ existing businesses and, depending on how things shake out, some could even benefit. If you want more insight into how local regulation affects your investment income, then subscribe to Conrad’s Utility Investor. Roger puts his decades of experience to work for you, growing your investments through dividends and value-oriented model portfolios. Subscribe now!